This April Kazakhstan will see early presidential elections. 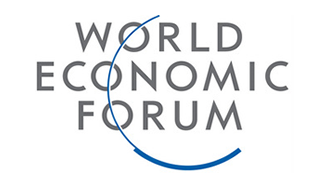 A relevant decree has been signed by the head of state, Nursultan Nazarbayev. This decision is alternative to a referendum that was suggested to extend his current term in office until 2020. The referendum initiated by a group of Kazakhstanis and widely backed by the population could have taken place in Kazakhstan. The country has every legal ground and suitable political situation for it. But Nazarbayev is a leader known for well-conceived decisions. Clear, he could not be deaf to the initiative on holding the referendum, the more so as Kazakhstanis were unambiguously favoring the plebiscite. Slighting the opinion of the majority means going nowhere, to any politician. At the same time Kazakhstan’s leader could not ignore international public mind, either. A grave political situation was puzzled out by RK president with his usual political elegance – he made a decision suiting everyone, except Kazakhstan’s opposition, naturally. Of note, Nazarbayev’s opponents could have capitalized politically on any scenario. If the referendum was a case, rival parties could speak of undemocratic choice of the head of state, of their defied rights. More important, the referendum spared them from losing another election. To be fair, there are no decent contesters to the current president in the republic. Now that the issue is settled and elections will take place, the opposition found a cause for criticism. They assert that “Kazakhstan’s population is deceived again, since early presidential elections will factually be non-alternative with only three months given for preparing for them”. Absurd reasoning, to say the least of it. Any politician in sound mind clearly understands that electoral process is ongoing. The understanding of it was shown only by the ruling party PDP Nur Otan. I will cite a conspicuous example showing inertness of RK opposition and representational bodies in the regions: last year saw snap maslihat elections. Just imagine, of 54 candidates nominated by political parties, 52 were Nur Otan members, 93 candidates were independent. Isn’t it odd speaking of this party’s stranglehold, when its competitors do not even try to struggle for power? The same is true about the parliament. Majilis elections are ahead – get ready for them! Where is your active political work? By the way, early presidential elections will sort out another problem – concurrent elections for the parliament, maslihats and for president, all initially slated for 2012. It will allow concerned public and political institutes to enhance the quality of public outreach and do it step-by-step. The opposition does not shy away from making cutting remarks, specifically they hint at that Kazakhstan’s leader was prompted to make this decision by recent developments in the Arab states. Experts say the comparison is footless. That Kazakhstan’s president refused to hold the referendum has nothing to do with the latest events in Egypt or in any other state. First, an initiative to hold the referendum emerged in Kazakhstan long before the “wave of instability” engulfing the Near East, and early elections are just the follow-up of nationwide and international discussions. Second, Kazakhstan’s president enjoys high respect in the country, where the political and economic situations are stable. Pierre Morel, EU special representative for Central Asia said in this connection that any parallels were primitive. The situation in Kazakhstan is absolutely different. In RK the head of state is widely backed by the population, evidence to it is 5 million signatures (the better part of the electorate) collected for the referendum. Moreover, the initiative was supported by the parliament. The president suggested viewing the situation as a historic test for democracy on its commitment to the Constitution. -In the best interest of the country, I made a decision not to hold the referendum. 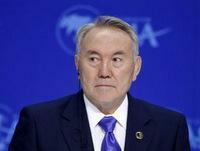 I suggest early presidential elections although they will cut my current term by two years, - said Nursultan Nazarbayev. With account of complicated current trends in the globalizing world, RK president found a right solution to consolidate the nation. And this decision was backed by the international community.